There have been a ton of Android devices announced in the last couple of weeks. 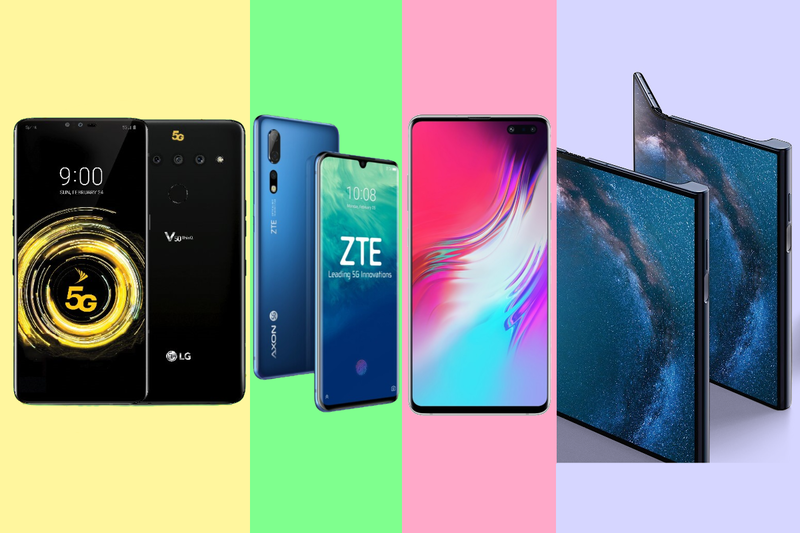 With MWC 2019 and Samsung Unpacked happened back-to-back, we’ve had no shortage of phones to talk about. The phones that get the most attention are the flagships and we’ve just opened forums for several of them: the Huawei Mate X, LG V50, ZTE Axon 10 Pro, and Samsung Galaxy S10+. The Huawei Mate X was undoubtedly the star of MWC this year. Samsung kicked off the foldable phones with the Galaxy Fold, but the Mate X is even more impressive. The single display folds on the outside, giving the user a nearly bezel-less device in either phone-mode or tablet-mode. This method does leave the display vulnerable to scratch more easily, but it clearly looks better. It will be interesting to see whether “outie” or “innie” folding phones catch on. 5G was a huge buzz word at MWC and LG and ZTE were just a couple of the OEMs who had 5G-capable devices to show off. LG managed to squeeze mmWave antennas into basically the same footprint as the LG V40 ThinQ. The specs of the LG V50 are very similar to the V40, with the main differences being the Snapdragon 855 SoC, X50 modem, and bigger battery. It has the same display, cameras, RAM, and storage. ZTE’s first 5G phone is the ZTE Axon 10 Pro. Unfortunately, ZTE didn’t share many details about this device. We do know it has the Snapdragon 855 SoC and X50 modem. It also has an in-display fingerprint scanner, triple rear cameras, 20MP front camera, and a display notch. That’s pretty much all we know. Lastly, a phone we’ve talked a lot about already, the Samsung Galaxy S10+ is finally getting its own forum. The Galaxy S10+ is the beast of the new Samsung phones. It has the biggest display at 6.4-inches, but mostly the same internals that makes the Galaxy S10 series so great. That includes the Snapdragon 855 SoC, ultrasonic fingerprint scanner, dual front cameras, triple rear cameras, and so much more.